I want to take this chance to thank all the customers both from the website and craft fairs. Also, the fans that follow my wooden crafts on all the social media platforms, it has been a busy year. All those that have followed this blog from the start will know that I hated school and I have not ever written so much since. But if talking and writing about wood or crafts well that’s different. The last craft fair of the year was last weekend with a different venue each weekend for the last two months. All the events on top of the day jobs my wife and I are both knackered. The wife has already started booking new venues for next year. With so many fairs no time to take a break from the pen turning. Having found a new timber supplier with some beautiful English hardwoods cut for figure and not yield some new pens are in the pipeline. Once I catch up on what has sold along with some segmented designs that I had to put on hold. and the last is a Fountain Pen. Each handcrafted from cask staves with a highly polished durable finish. 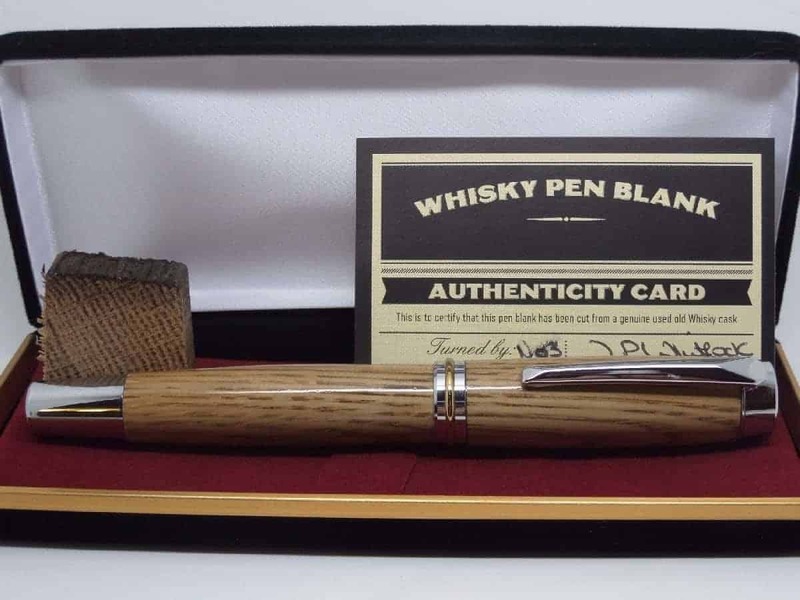 All come with a certificate of authenticity, an off-cut of the original cask stave and an upgraded pen box. All have a CA finish for a hard-durable finish to protect the wood from the hand’s natural oils. Other novelty pens are in the pen shop or more ideas on Christmas gifts for him. 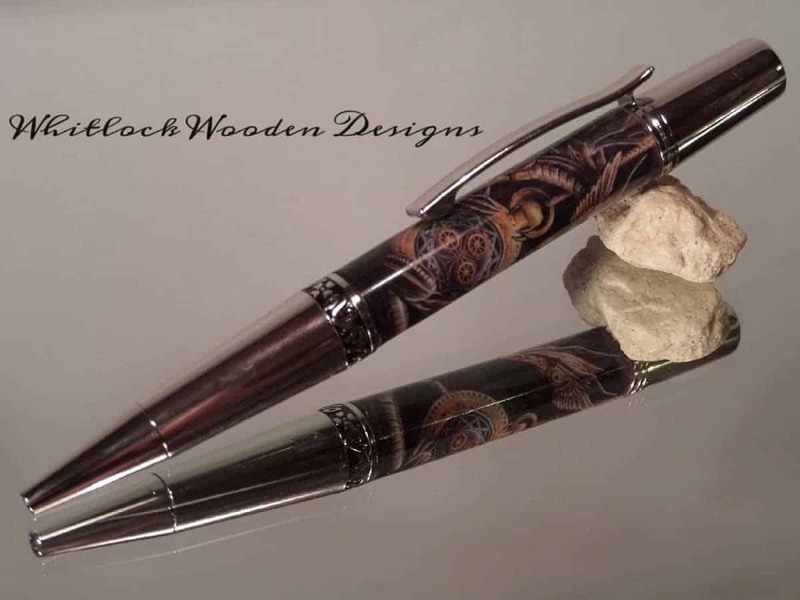 although it’s a little different it is a stunning eye-catching pen smaller in size and weight than the Sierra range, with a unique design cast beneath the resin this will appeal to those who love steam punk or dragon artwork. As if we did not have enough to do the sale starts on the 25th with 25% off selected lines. 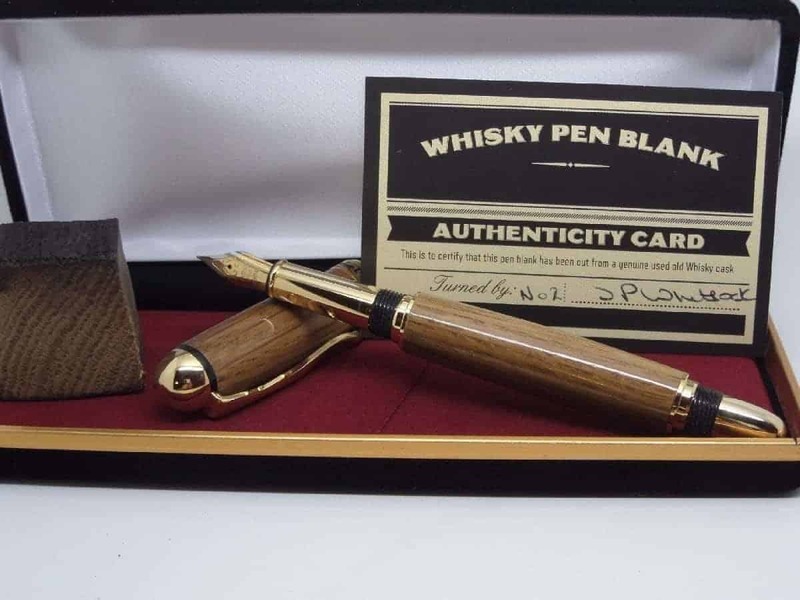 So why not pop over to the pen shop and bag yourself a late Christmas present or one of our other wooden Christmas gifts for him.